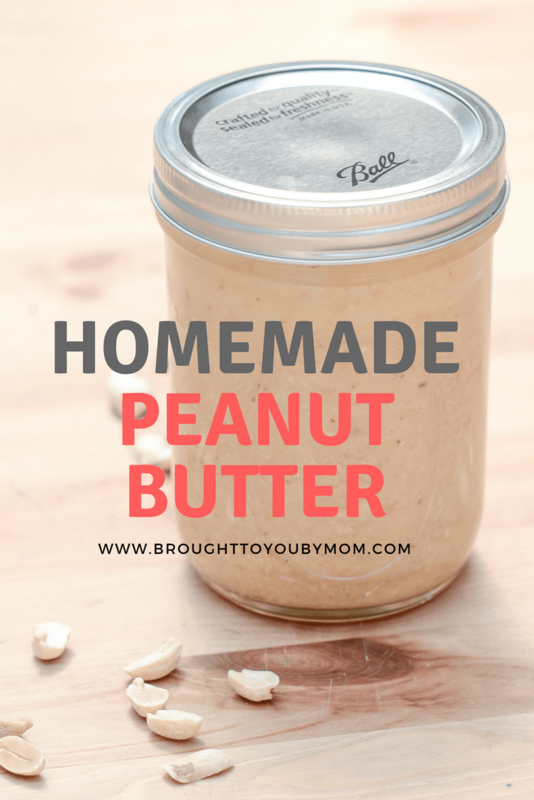 Short on peanut butter at home or want to be able to make your own? Homemade peanut butter is a very simple recipe to make. With three ingredients and a food processor, you can have your own peanut butter in minutes. Knowing where your food comes from and saving money is a bonus! Making peanut butter at home with this peanut butter recipe has never been easier. Is making your own peanut butter cheaper? The great thing about this is that you can make it as creamy or chunky as you wish. Plus, with only three ingredients, you’re looking at this costing around $3 a jar. Less expensive than organic peanut butter in the store! You cannot beat that. Especially with grocery prices skyrocketing these days. For more peanut butter recipes, check out my Peanut Butter Chocolate Chip Cookie Recipe. Homemade peanut butter lasts for about one month once opened and properly refrigerated. If you have peanut butter lovers in your home, it probably will be used well before it expires. Use a food processor or KitchenAid FGA Food Grinder Attachment (this is what I use) to grind peanuts. You should have a smooth, buttery consistency. If you want a crunchier consistency, I recommend using a food processor for more control. In a food processor or KitchenAid mixer bowl, add salt and honey. Begin mixing and slowly adding peanut oil. You might not need as much as this recipe calls for or more depending on how creamy you want your peanut butter. Once everything is smooth and mixed, empty contents into a pint mason jar. You might have more than a pint depending on how much oil used. Enjoy this homemade peanut butter recipe for great peanut butter and jelly sandwiches, cracker dip and more. It’ll take you under 5 minutes. Simple, easy homemade peanut butter that is sure to please the whole family. Make more fun recipes with these Birthday Cake Muffins. Great for parties and treats for little the kids. Homemade Peanut Butter is very simple to make and a great alternative to store bought peanut butter. Use a food processor or KitchenAid FGA Food Grinder Attachment to grind peanuts. You should have a smooth, buttery consistency. If you want a crunchier consistency, I recommend using a food processor for more control.